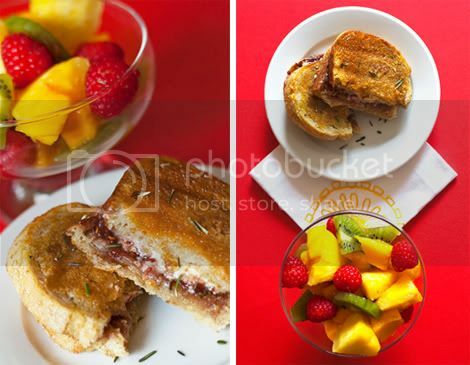 When you want a quick summer Sunday brunch, nothing beats these uniquely flavorful panini—whip up a tropical fruit salad to accompany them and for an extra special touch, dress it with a sweet mixture of orange juice, brown sugar and vanilla. The flavors in the panini really marry well. I was nervous about replacing the mozzarella with a vegan version and losing that distinct taste. But once again, after a little experimentation Daiya proved to be the winning option among vegan cheeses and gracefully turned a vegetarian recipe into a pure vegetarian one. Prepare the fruit salad: In a microwaveable bowl, combine the brown sugar and orange juice. Microwave on high for 1 minute, remove from the microwave and stir in the vanilla. 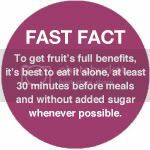 Set the dressing aside and in another large bowl, combine the raspberries, pineapple, mango and kiwi. Add the dressing and gently toss, being careful not to break up the raspberries. Set aside in the refrigerator for a few minutes to let the flavors marry. In the meantime, make the panini: If you have a panini press or George Foreman Grill, preheat it. If not, these can be cooked in a cast iron skillet with a foil-wrapped brick or another cast iron skillet placed on top, and flipped halfway through. Brush the bread slices on both sides with oil. Spread raspberry jam on 1 side of each slice. Sprinkle rosemary over the jam and then sprinkle Daiya on the slices that don't have jam on them. Season the Daiya with a pinch of salt, if desired. Place the slices of bread that have jam spread on them on top of the slices with Daiya on them, jam sides down. Sprinkle brown sugar over the tops. Press in the panini press or George Foreman Grill for about 3 minutes until the Daiya has melted and the bread is golden and crispy. 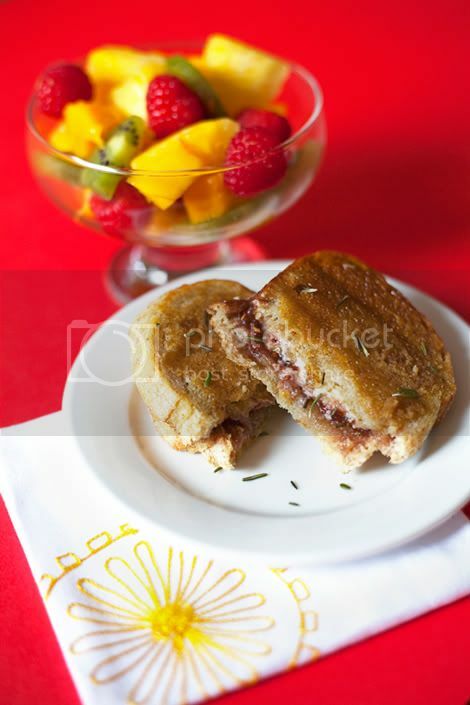 Cut the panini in half and serve with a small bowl of Tropical Raspberry Salad.